As I have been obsessed with nail stamping recently, I was super excited when I was sent a stamping polish to try from Born Pretty Store. I choose the shade Moonlit (obviously, because it's blue). I decided to swatch this polish first, before testing it for stamping. The polish was basically opaque on the first coat, but I decided to apply a second anyway. 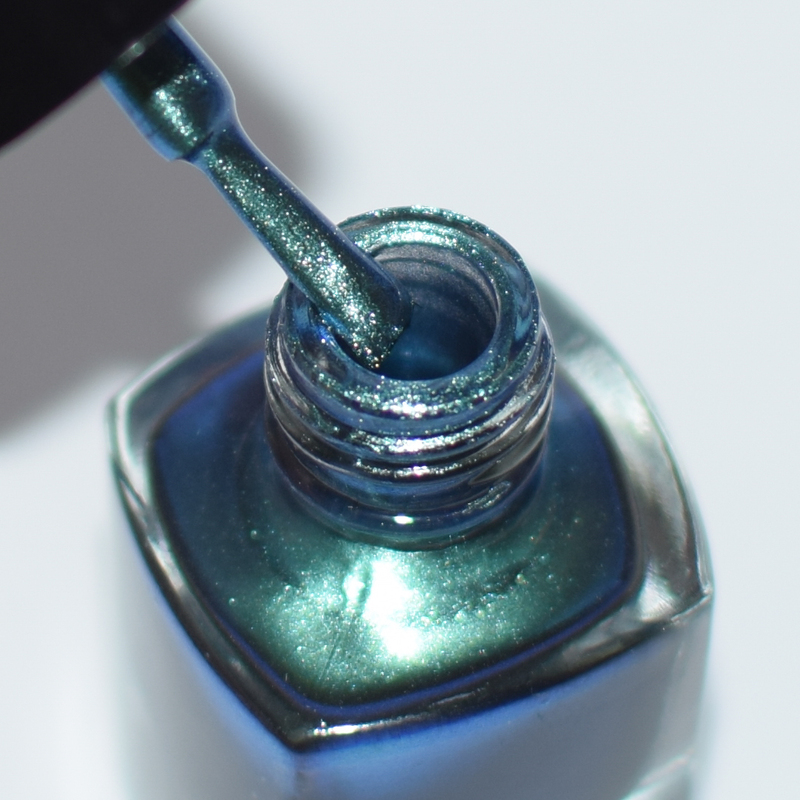 The shade is a beautiful metallic turquoise blue, that colour-shifts towards more of a green tone. The polish looks great with gloss or matte top coat. 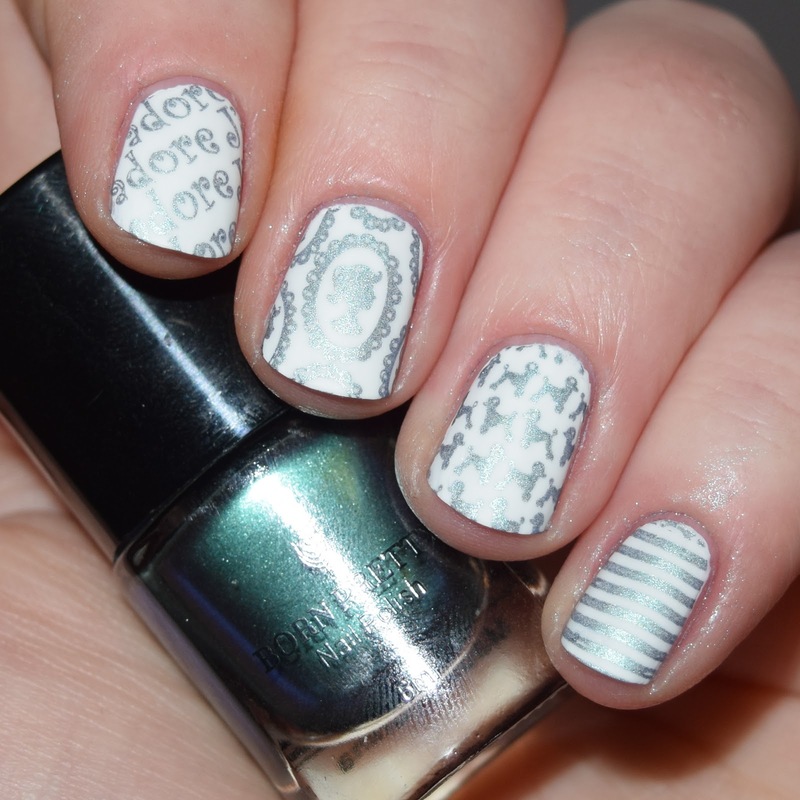 I wanted to test this polish for stamping over both black and white. I started with white, using Moyou London's Tourist 21 plate. The polish worked great, it is very pigmented and stamping fully opaque designs. 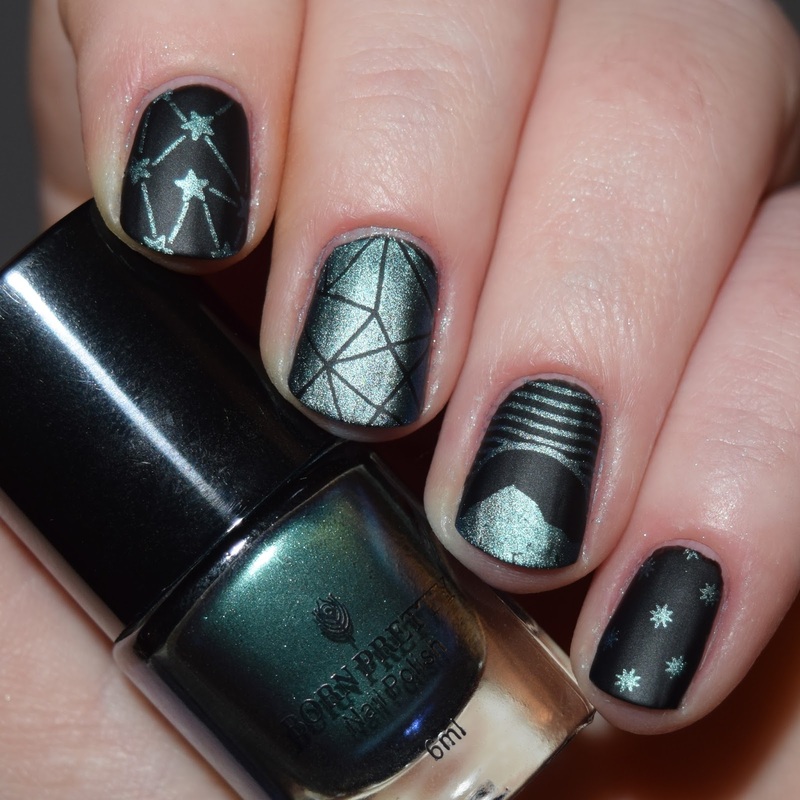 I then tested the polish stamped over a black base, using Moyou London's Scandi 09 plate. Although I liked the look of the polish over white, I much prefer it stamped over black. The contrast between the design and the base is stunning. I was able to pick up and apply the stamped designs perfectly and for only £3.52, these polishes are great if you are looking for pigmented stamping polishes at a cheap price. The full 'Universe Series' collection has 5 different shades.